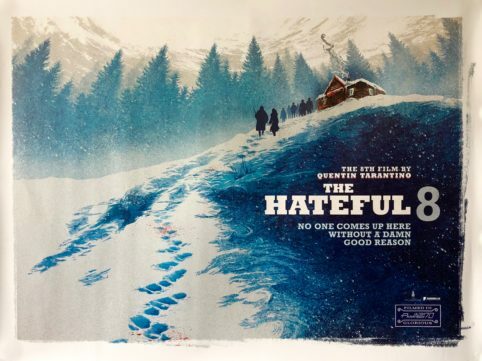 Quentin Tarantino’s 8th Film…“The Hateful Eight” is a bloody, brutal, who dun-it epic. 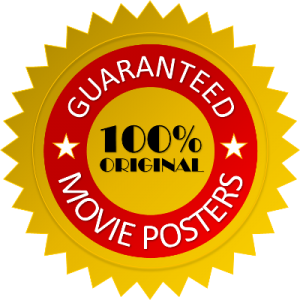 Released in 2015 it proved a huge commercial & critical success and in keeping with previous Tarantino movie merchandising offerings the film posters have became very collectible. Designed by creative arts agency BLT Communications, LLC this advance teaser UK quad immediately catches the attention with its beautiful graphics and sweeping widescreen vista which is perfectly suited to the horizontal landscape style of the British quad. 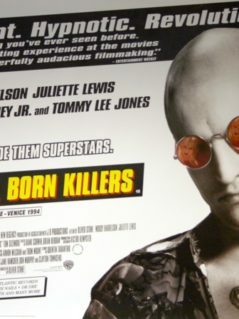 Presented in excellent unrestored rolled (as issued) condition this exceptional example displays superbly and as Tarantino has such a huge fanbase very sought after. 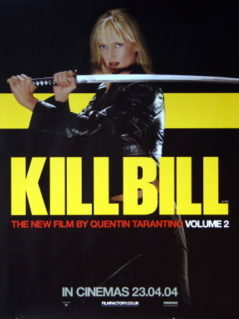 As Quentin Tarantino films are aimed for that more mature 18+ audience the merchandising budget isn’t what you would expect from a general release feature and as such nearly all the posters & promotional items produced are in much lower numbers…making this type of movie memorabilia extremely scarce. Trivia: Director Quentin Tarantino said that some of Ennio Morricone‘s musical compositions for the film are the unused scores for John Carpenter’s The Thing.